Pret Say Eye was antsy early, strong late for trainer Lacey Gaudet (left) at Saratoga in 2016. Photo by Teresa Genaro. In Spa Selections, Saratoga on-site correspondent Joseph Aiello provides picks for a handful of key races at Saratoga, including all of the exciting stakes action! 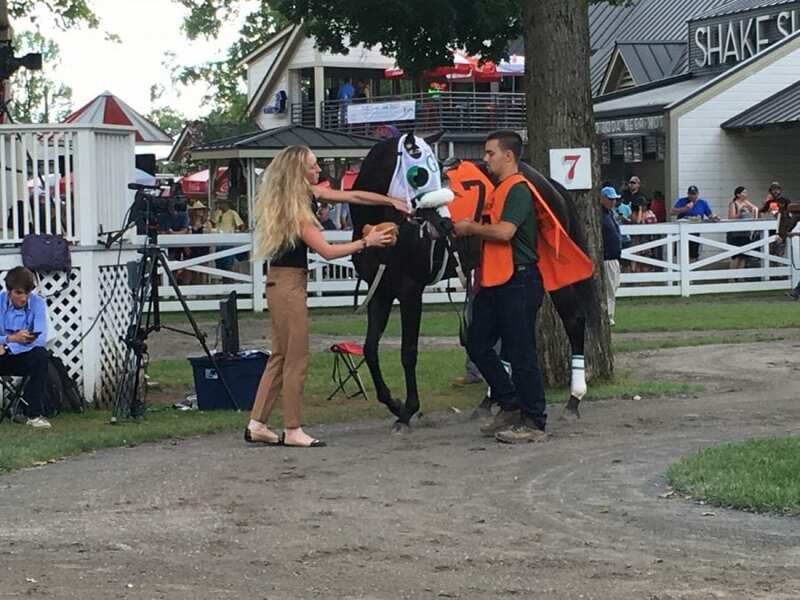 Joseph Aiello, III, a student at Colgate University, is a lifelong racing fan and frequent Saratoga visitor, where he avidly hones his handicapping skills.